A few years after Bromley English Orrery maker (an ‘orrery’ is a mechanical model of the solar system) John Gleave constructed a full working model, with the front dial depicting the yearly progress of the sun and moon through the zodiac against a representation of the Egyptian calendar. The most recent study and reconstruction of the object was made in 2002 by Michael Wright, the curator of mechanical engineering at the Science Museum in London, working together with Allan Bromley. Although some of the conclusions of Wright’s new study disagree with certain aspects of Derek De Solla Price’s work, Wright does imply that the mechanism is even more ingenious than Price thought. To arrive at his theories Wright used x-rays of the object using a method known as linear tomography. This technique can show detail from a single plane or region of an object in sharp focus. Wright was thus able to study the gears in great detail and found that the device would have been able to accurately replicate not only the motions of the sun and moon, but those of all the planets known to the Ancient Greeks: Mercury, Venus, Mars, Jupiter and Saturn. So it is possible that by making use of bronze indicators on a circular face, which depicted the constellations of the zodiac around its edge, the ancient mechanism would have been able to fairly accurately calculate the positions of the known planets for any specific date. In September 2002, Wright’s completed reconstruction went on display as part of the exhibition of Ancient Technology, at Technopolis, a museum in Athens. How was tha Antikythera Device Used? Despite the years of study and the various reconstructions and theories, nobody really knows how the Antikythera device was used. It has been suggested that it had an astrological function and was used for computerised horoscopes, that it functioned as a planetarium for teaching purposes, or even that it was a complicated ‘toy’ for the wealthy. Derek De Solla Price believed that the mechanism was evidence of an ancient Greek tradition of highly intricate mechanical technology. His opinion was that this skill and knowledge was not lost when ancient Greece went into decline, but was passed on through the Arab world, which possessed similar mechanisms at a later date, and became the foundation of European clock making techniques in the Middle Ages. Price felt that originally the device had been permanently mounted, conceivably in a statue, and put on display. Perhaps it was once contained inside a structure like the intriguing Tower of Winds, an octagonal marble tower that functioned as a water-powered timepiece, in the Roman agora at Athens. 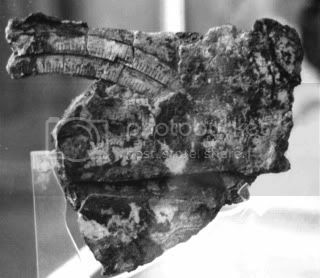 The discovery and reconstructions of the Antikythera Mechanism has also persuaded scholars to look at descriptions in ancient texts of such devices in a different light. Previously it was believed that the mentions of mechanical astronomical models scattered over the works of several ancient writers should not be interpreted literally. The ancient Greeks, it was felt, had the theory, but not the mechanical know how. But after the discovery and testing of the Antikythera Mechanism this line of thought will surely have to change. Roman orator and writer Cicero, writing in the first century BC and living at the time of the Antikythera shipwreck, mentions an invention of his friend and teacher, the previously mentioned Poseidonius. Cicero notes that Poseidonius had recently constructed a device ‘which at each revolution reproduces the same motions of the sun, the moon, and the five planets that take place in the heavens every day and night.’ Cicero also mentions that the Sicilian astronomer, engineer and mathematician Archimedes (c. 287 BC–212 BC), ‘is said to have made a small planetarium’. In connection with this device the orator also remarks that the Roman consul Marcellus took great pride in the possession of a planetarium designed and built by Archimedes, which he had taken as booty from the captured city of Syracuse, on the eastern coast of Sicily. In fact it was during this siege of this city in 212 BC that Archimedes was killed by Roman soldiers. Some researchers have even proposed that it was an astronomical device designed and built by Archimedes that was rescued from the Antikythera shipwreck. However, as the latest dating for the Antikythera device is between 140 and 100 BC, this could not be the original built by Archimedes, though it could be a copy built on his model. Powered by WordPress v 4.9.10. Page in 0.241 seconds.